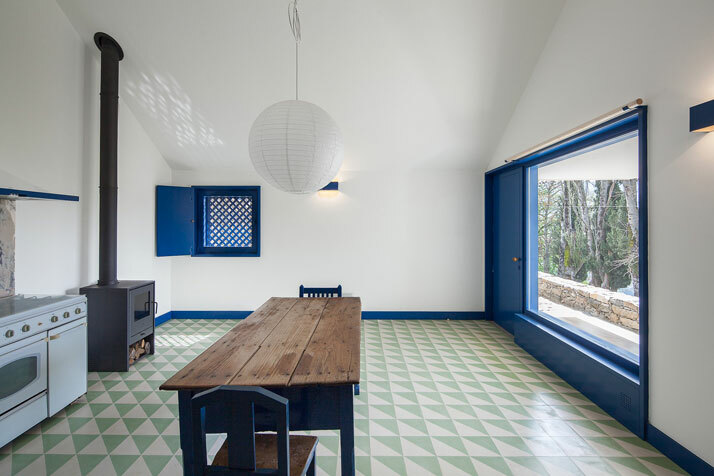 Casa Do Caseiro (Caretaker’s House) is a charming gatehouse that was designed by Sara Antunes Mário Ferreira Arquitectos (SAMF). 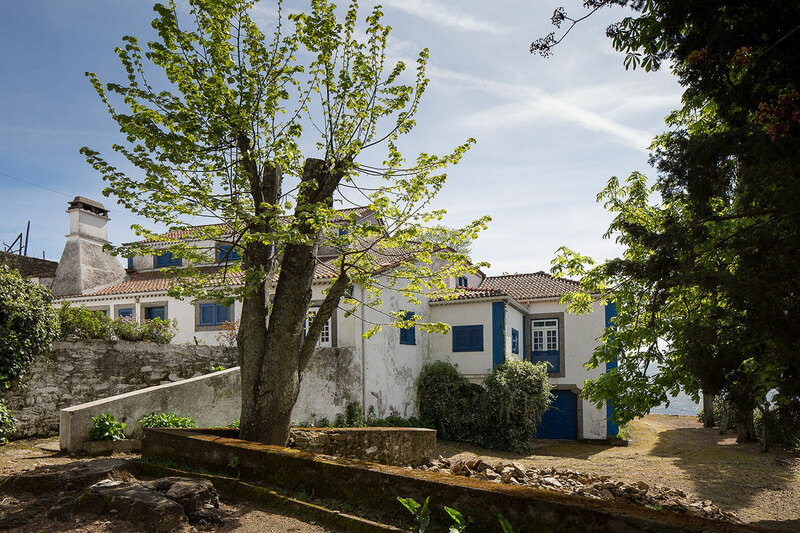 Sited at the entrance to Quinta da Boavista, a vintage wine producing farm in Mesão Frio in Portugal’s spectacular Douro Valley, it is the residence of the farm’s caretaker. 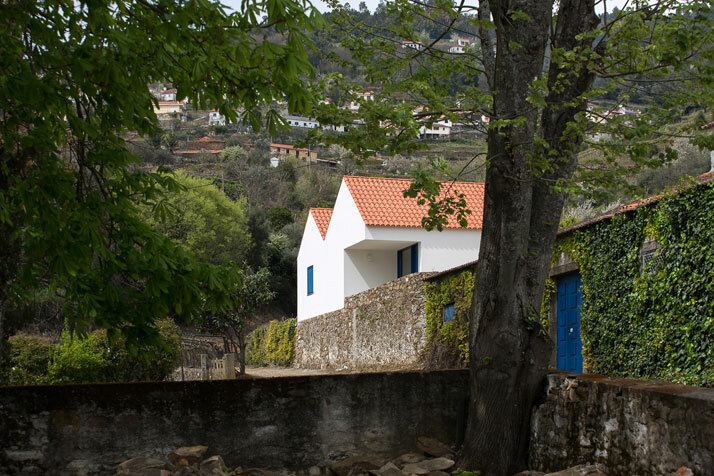 Quinta da Boavista constitutes a part of Mesão Frio’s fertile landscape, cultural history and architectural heritage. 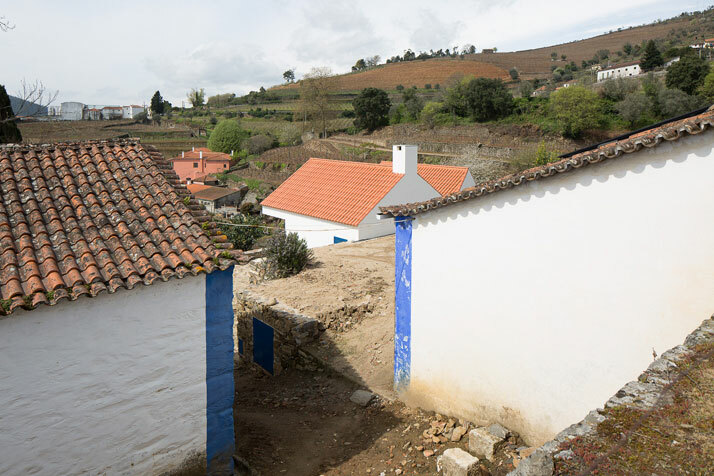 Extending beyond its walled boundaries, the Douro Valley stretches out like a vast amphitheatre, replete with a stunning terrain of vines, terraces, small farms and houses. 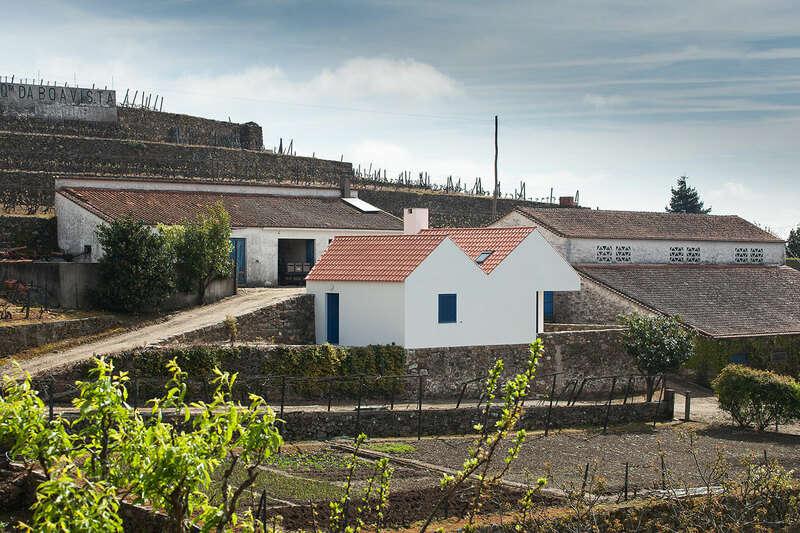 The Quinta da Boavista’s buildings are undergoing both expansion and refurbishment; phase one entailed SAMF Arquitectos replacing an existing agricultural structure with the small caretaker’s house. 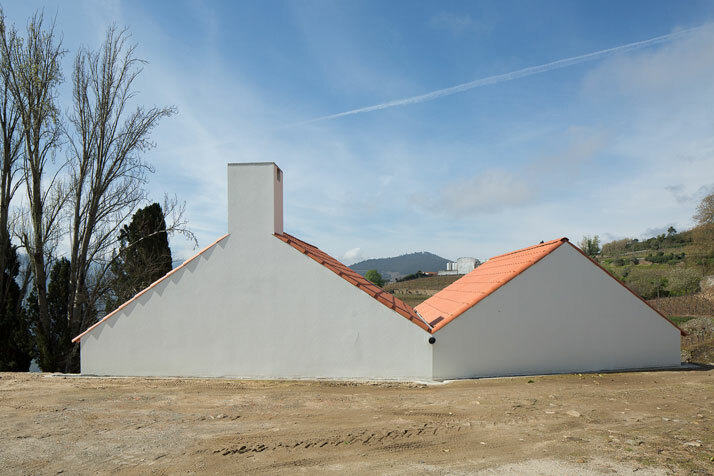 With an evident regard for both its context and surroundings, the new building is a reinterpretation of a vernacular typology where it retains a form consistent with other structures found on the farm. 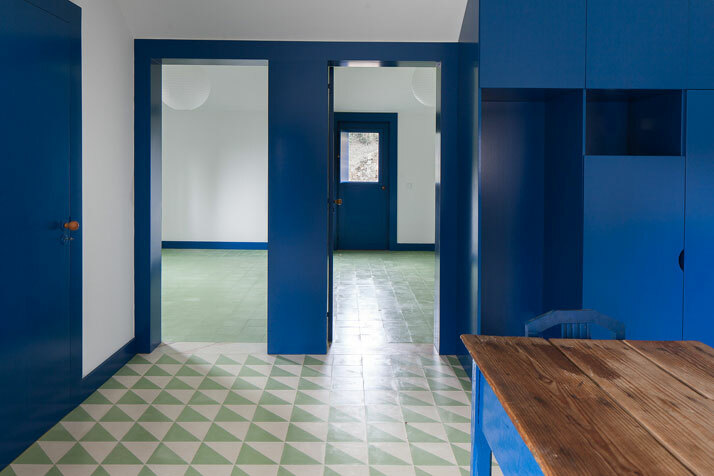 Incorporating materials already in existence on Quinta da Boavista, the house features white rendered stucco, ceramic roof tiles, walls made with local stone, wooden trellis and woodwork painted in a vivid, bold and deep blue. 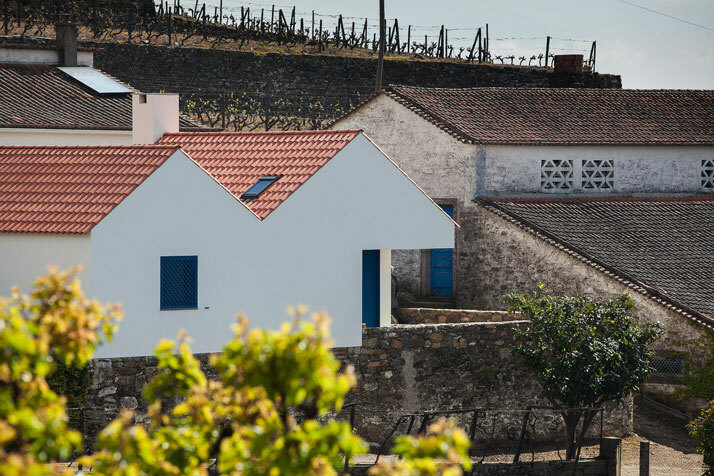 Displaying nuances of regional architectural traditions with aplomb, the caretaker’s home is of the land and exhibits a character that is an evident contemporary manifestation of Mesão Frio’s heritage. 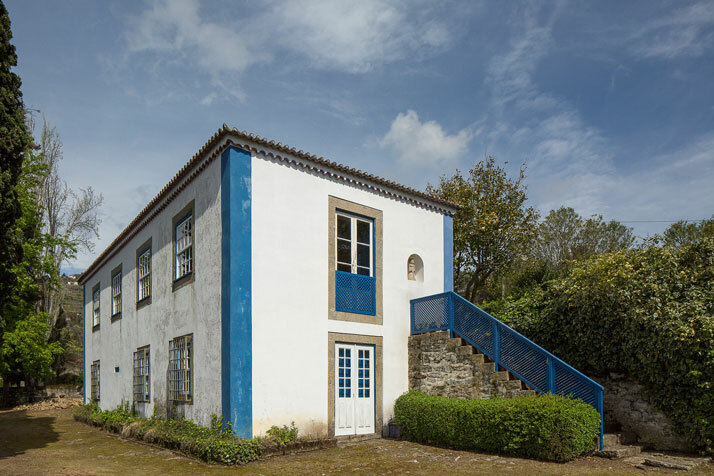 Whilst its bright exterior stands confidently against the rustic backdrop of Quinta da Boavista’s other buildings, its interior is simple, designed without pretence or unnecessary adornment. 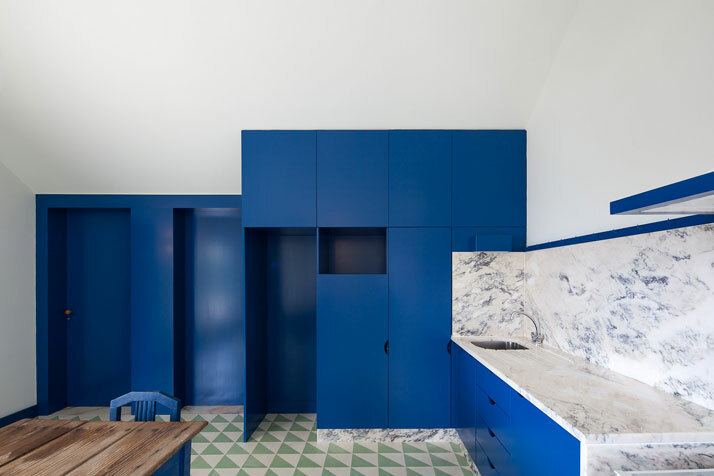 Most striking is the use of a rich blue colour on all of the building’s woodwork seen in its doors, window frames, trellis, skirting, kitchen cupboards and table. 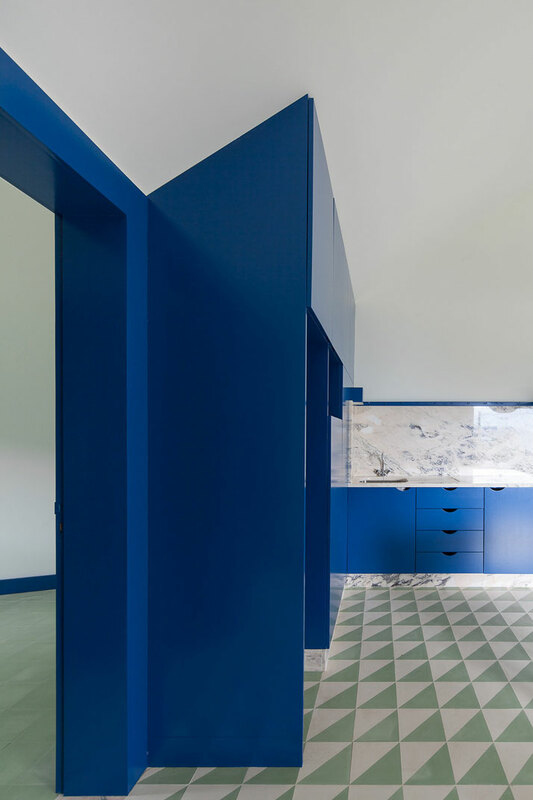 In a small abode that contains a main living space and kitchen, two bedrooms and a bathroom, it is this blue that elevates and strengthens the personality of the house, adding a level of continuity throughout its interior. 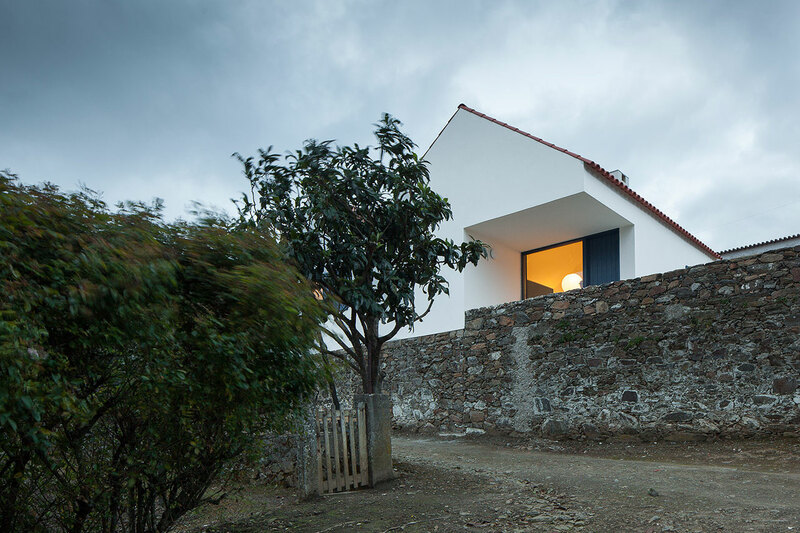 A small home with much appeal and promise, Casa Do Caseiro's internal divisions are uncomplicated and ensure there is no wasted use of space. 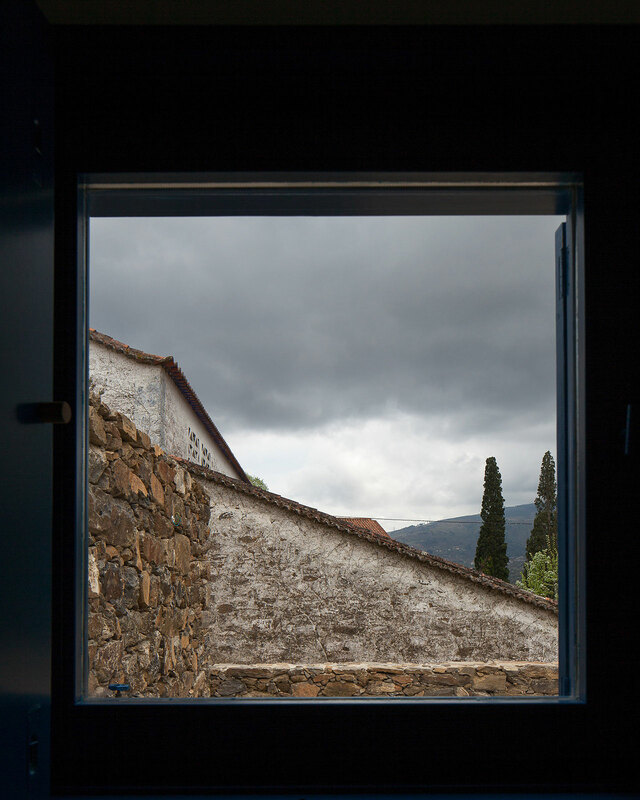 Its windows cleverly frame the surrounding landscape and fill the rooms with an abundance of natural light. 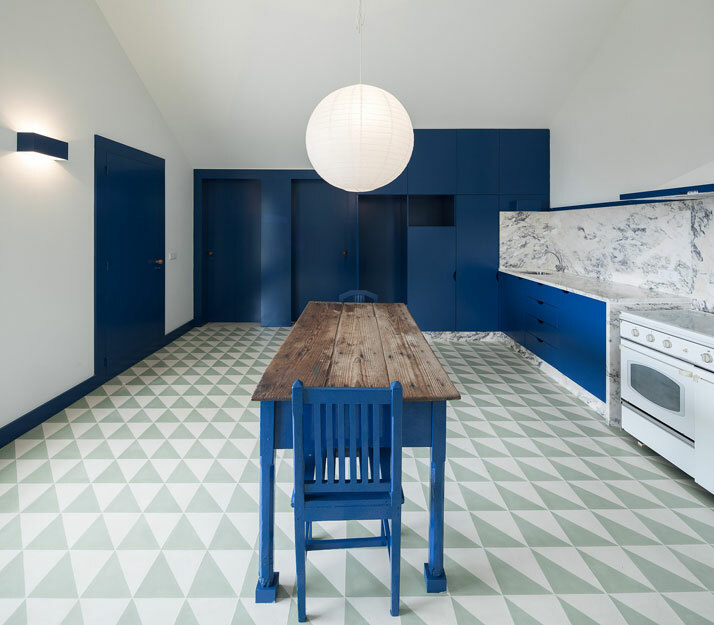 The structure’s high point is the combined living space and kitchen, a volume contained under the vault of the roof. It features a rustic wooden tabletop and wood burning stove where one can imagine the farm’s caretaker happily ensconced whilst savouring the soulful softness and aroma of a glass of local port wine after a long day.